We have not scheduled this class yet. The arms of the chair are a bent lamination. Typically we band saw quarter inch pieces, but some students have been able to purchase wood already milled to quarter inch, the choice is yours. We will do all the milling and joinery during class time, students will be responsible for sanding and finishing on their own, outside of class time. Be sure to price fabric and labor for the upholstery. 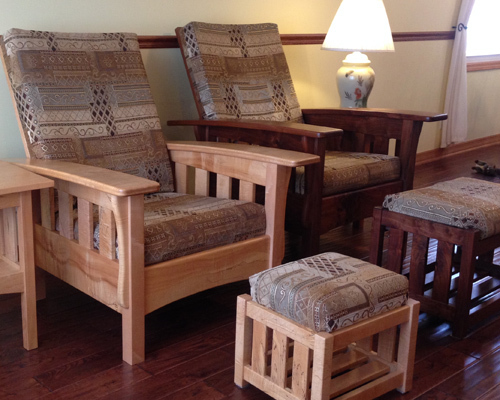 If you have some sewing skills you can do your own upholstery. If not, do some research into professional upholsterers and fabric costs.